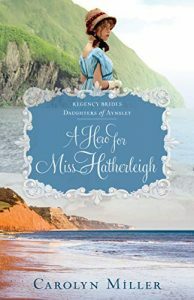 Betrayed and stranded in France at the height of war, Lord Gregory Halston has few options. After rescuing his ailing brother from jail, they struggle to survive in hostile territory without outing themselves as Englishmen. 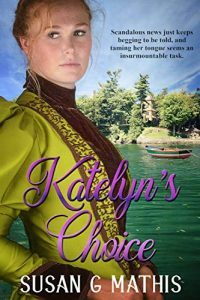 Gregory hopes the feisty French peasant woman he meets is willing to guide them to safety. Danielle Belanger doesn’t wish to protect any man from the same country responsible for her brother’s demise. But there’s something about the determined Englishman that makes her willing to try. 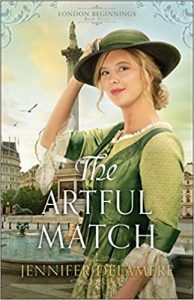 Though a match between Danielle and Gregory is impossible, their attraction can’t be denied. The only thing more dangerous than aiding the enemy…is falling in love with him. 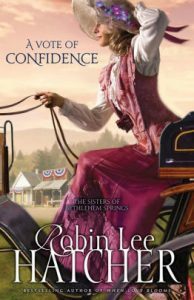 Laura has always dreamed of being a trick rider in her family’s Wild West show. 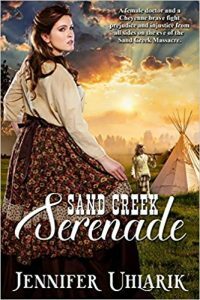 But her father will only allow her to perform if she disguises herself as Mr. Buckskin Jones. 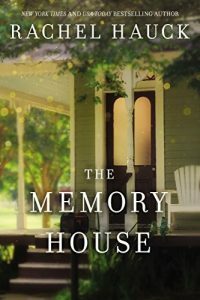 When soda-pop king Guy Roberts shows up to do business with her family, Laura is torn between keeping her identity under wraps and revealing her growing feelings for Guy. Guy is drawn to Laura’s poise and beauty, but he, too, guards a secret. As their affection for each other grows, Guy begins to think about a future that includes Laura. 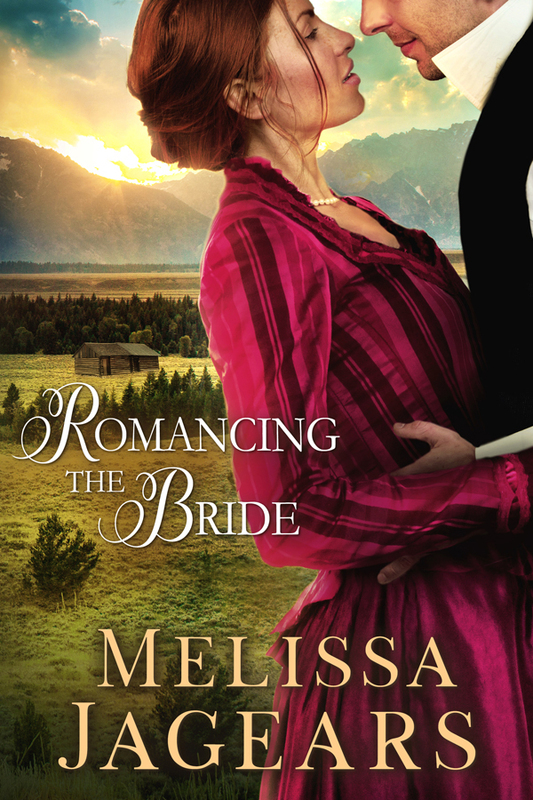 When both their secrets suddenly come to light, their romance will face the ultimate showdown. 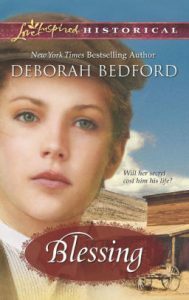 Though the secret behind Uley Kirland’s cap and mining togs is unsuspected in 1880s Tin Cup, Colorado, she longs to shed the clothing of deception…especially when handsome stranger Aaron Brown awakens her heart. 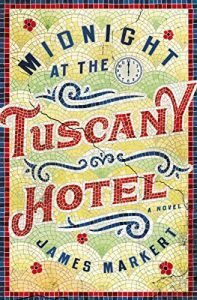 But while Uley dreams of being fitted for a wedding gown, the man she loves is being fitted for a hangman’s noose, and she’s the inadvertent cause of his troubles. The truth will set him free, and Uley will do whatever it takes to save Aaron’s life—even risk her own. 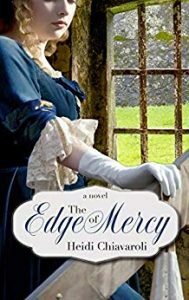 Lady Mercy Grayson has secretly been studying medicine in Edinburgh, Scotland. 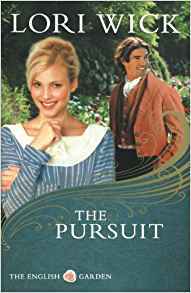 She has dressed as a man to pursue the same passion her big brother Devlin, Lord Ravensmoore, pursued outside the acceptance of society. Her secret has been discovered. Now she’s running away from Scotland and her dreams. 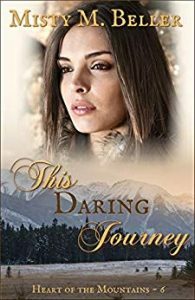 Will she be able to accomplish what she feels is God’s calling, or will the parameters of society and those who want to use her secret to accomplish their own selfish ends determine the course of her future? 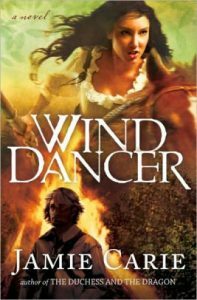 Vincent Lyons, Lord Eden, is an adventurer coming home to London to deliver the mysterious Holy Lance to the prince regent who wants to see if the legends are true surrounding this relic that is said to possess both the power of healing and destruction. 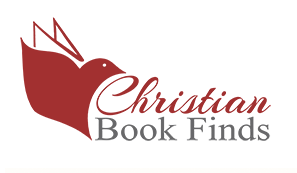 His life is catapulted in another direction when he meets Mercy who is pursuing a different kind of adventure that will cause him to question everything he believes. 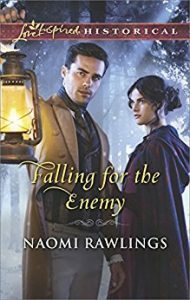 Both will be forced to examine their personal motives when members of a voudon tribe, the Regent, and the London Legend Seekers Club search to possess the ancient relic for their own purposes. 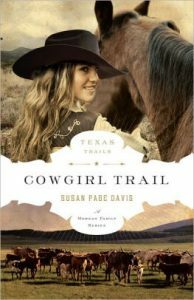 Cowgil Trail is part of a six-book series about four generations of the Morgan family living, fighting, and thriving amidst a turbulent Texas history spanning from 1845 to 1896. 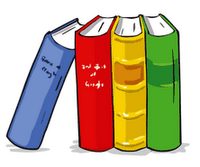 Although a series, each book book can be read on its own. 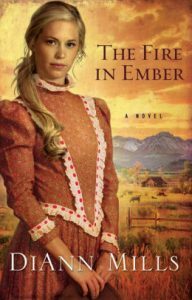 In 1884 Maggie Porter returns to the Rocking P Ranch. The sanatorium was not able to save her mother and now her father’s health is failing. 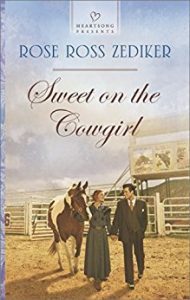 When the cowboys walk off the job leaving no one to drive the cattle to market, head ranch hand, Alex Bright, cannot convince the men to stay. How could Alex let this happen? 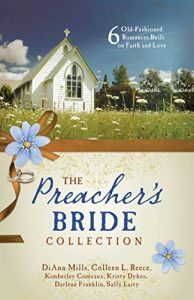 Maggie is desperate to save the ranch and she turns to the town’s women for help. 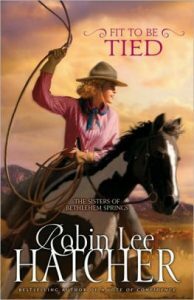 The new cowgirls must herd, rope, and drive the cattle to market. 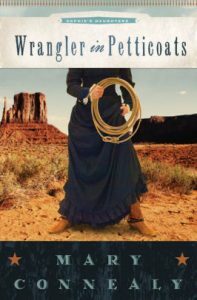 With only two days left, outlaws charge the small band of cowgirls in an effort to start a stampede. The cattle begin to scatter. Will they lose everything? Where will their help come from? 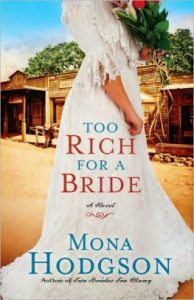 The arrival of Michael Bowen’s bride, married sight unseen by proxy, sends the rancher reeling. 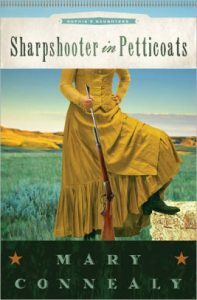 With her trousers, cowboy hat and rifle, she looks like a female outlaw—not the genteel lady he corresponded with for months. He’s been hoodwinked into marriage with the wrong woman! Selina Farleigh Bowen loved Michael’s letters, even if she couldn’t read them herself. A friend read them to her, and wrote her replies—but apparently that “friend” left things out, like Michael’s dream of a wife who was nothing like her. Selina won’t change who she is, not even for the man she loves. 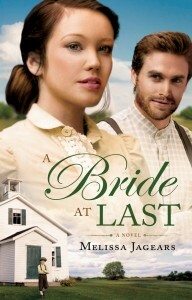 Yet time might show Michael the true value of his unlikely wife. 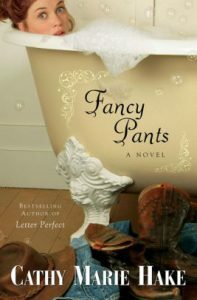 Welcome to Hope Falls where three enterprising young females are accepting applications for husbands-for-hire. 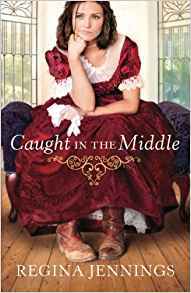 With one woman already snagged, Lacey Lyman is one of only two remaining. No one really catches her eye until a handsome hunter arrives. Will Lacey find a way to bag her prey? 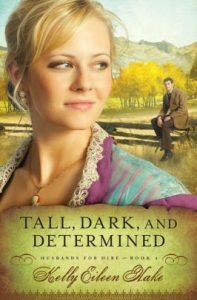 Determined to investigate why Hope Falls’s mine collapsed, Chase Dunstan poses as a potential husband and a hunter, giving him the perfect excuse to poke around inside and outside of town. If only he could get the chatterbox Lacey Lyman off his trail. Can he keep his cover while solving the mystery of the mine? 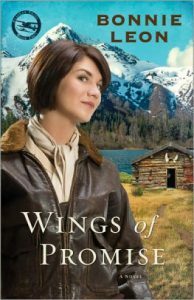 Kate Evans may be a woman in a man’s profession, but as Alaskan bush pilots go she’s one of the best. She often works closely with doctor Paul Anderson, bringing much needed medical services to far-flung people in the forbidding wilderness. 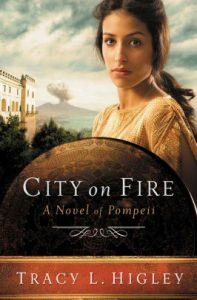 But when a new boss who is against women pilots takes over the airfield, Kate’s dreams–and even her life–are at stake. Can she prove her worth? Or will she die trying? 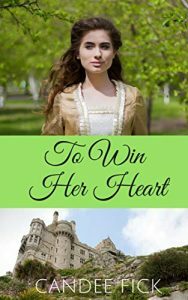 And will she ever be able to truly surrender to her growing love for Paul? 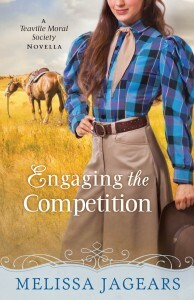 Hiring a woman doesn’t sit well with Travis Morgan, and the dark-haired beauty is causing a ruckus among his cowboys. 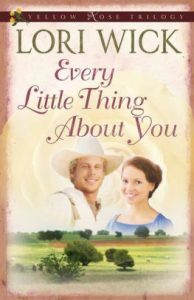 Just as Angel decides she’ll never be able to please her boss, an unexpected surprise arrives from across the ocean and makes trouble on the ranch. Will Angel leave with the person who’s come so far to claim her? 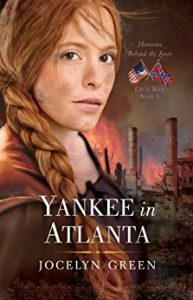 This riveting conclusion of Grace Winslow’s fight for freedom carries her from England to America’s Deep South. 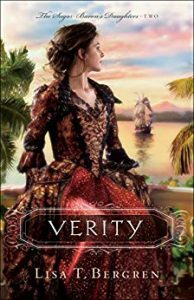 After learning that her husband, Cabeto, is on a South Carolina plantation, Grace dons a sailor’s disguise and boards the only ship headed for America—a detestable slave ship. When her secret is discovered, Grace is locked up in the hold. 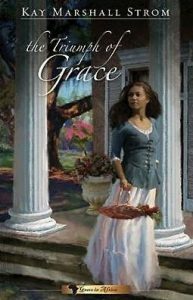 In South Carolina, Grace is bought immediately, but soon sold to a man who is not a slave keeper. 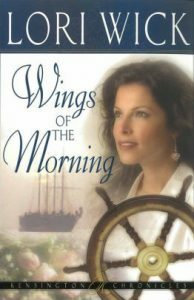 Moved by her story of perseverance and faith, John Hull makes Grace’s mission his own. Grace now has a dear brother in Christ to help her, but a restored sense of hope does not mean the path to finding Cabeto will be clear—or free of trouble . 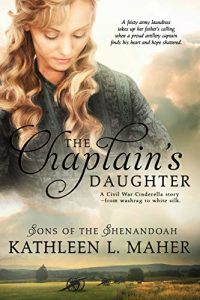 . .
Sharpshooter Mandy McClellen Keating is a self-sufficient widow who wants nothing more than to live on her mountain and raise her children–alone. 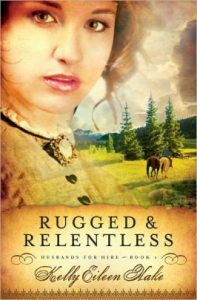 But how long can she hold off outlaws determined to steal her gold? Tom Linscott has his hands full with breeding horses and raising cattle. Yet when he hears outlaws have Mandy trapped, he’s danged if he’s gonna leave her to fend for herself. But how can you rescue a woman who refuses to be saved? 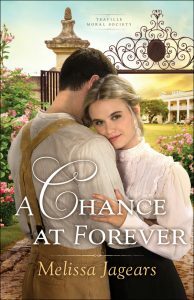 Who will win this battle of wills–Mandy, Tom, or the outlaws who want nothing better than to silence them both? 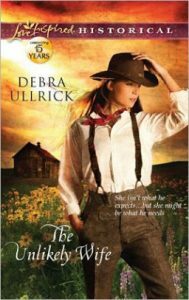 Ride into the Rockies where love peaks between a tough Texas tomboy and a passionate artist. 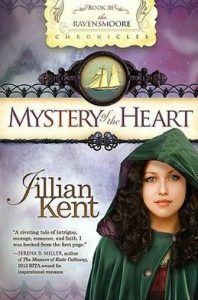 On her way to Montana, Sally McClellan s party is attacked and robbed. 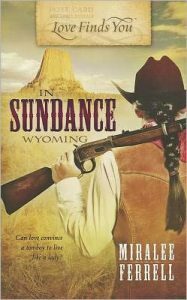 But then artist Logan McKenzie saves the badly wounded cowgirl who has been left for dead. 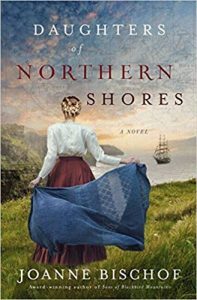 Can this landscape painter tame the tomboy without breaking her spirit? 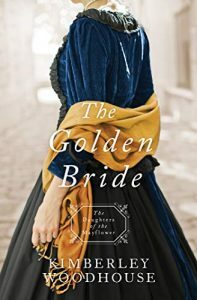 Sally doesn t know much about ribbons and lace, but Logan s presence makes her want to connect with her feminine side. 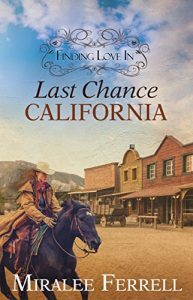 Will this fractured female discover a way to capture the artist s love or find herself captured and killed by outlaws? 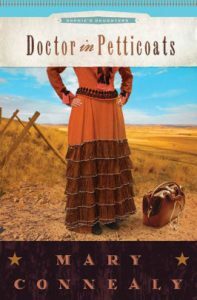 Doctor Alex Buchanan is a wanted man–a deserter from the army stalked by a bounty hunter–but he’d rather be dead than inflict any more pain on his patients. Beth McClellan is idealistic, believing the nursing training she received will be enough to help her serve as doctor to her home town in West Texas. 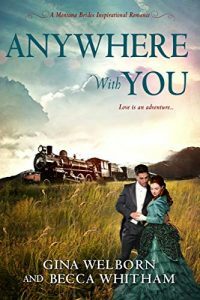 When Alex and Beth meet in a stagecoach accident, they find that they work well together. But are his demons and her dreams too deeply rooted for either of them to pay the price required for a future together? Gooding, Texas, is about to gain a double blessing–a veterinarian and a doctor. 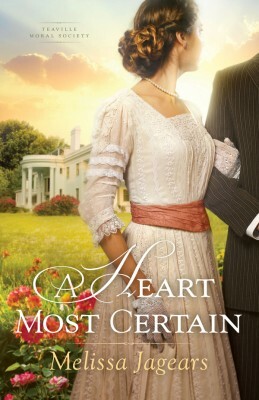 But when siblings Enoch and Taylor Bestman arrive, the discovery that Taylor is a lady doctor has the town up in arms. 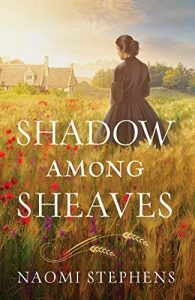 Especially Karl Van der Vort, the town blacksmith, who becomes the first patient…against his will. 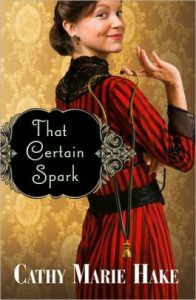 Though hesitant to believe in Taylor’s doctoring skills, Karl finds himself oddly protective of this surprising woman who dares to drive about town on her own, wearing the color red, for heaven’s sake! 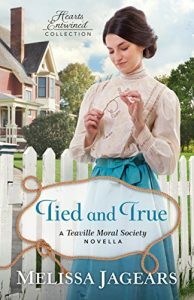 Taylor, on the other hand, wants only to prove that doctoring is her life’s calling, despite the town’s opposition. The result? Pride meets attraction head-on, and sparks begin to fly. Alexia Travers is alone in the world. 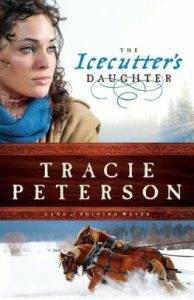 Her father has died unexpectedly, leaving her burdened with a heavily mortgaged horse ranch. 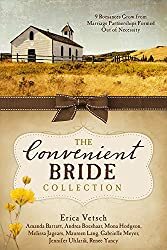 Marrying one of the town’s all-too-willing bachelors would offer an easy solution, but Alex has no interest in marriage. Chance with his young son. Justin’’s and Alex’’s combined effort to save the ranch quickly turns into a fierce competition between cowboy and tomboy. both love. 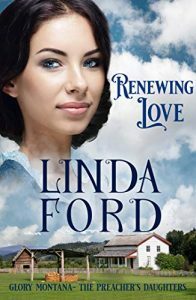 Can these two independent people learn to depend on God —and on each other? 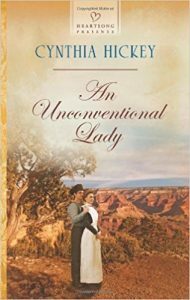 When Britisher Lady Sydney Hathwell’s father dies, the American who planned to wed her suddenly reneges. 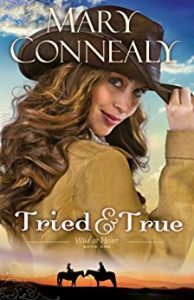 Stranded in America and penniless, Sydney contacts a relative in Texas who, mistaking her male-sounding name, invites his “nephew” to join him on his ranch. “Big Tim” Creighton, however, is appalled when this mincing fop arrives at Forsaken. He determines he’ll turn Fancy Pants Hathwell into a man before the boss returns home. From the get-go, he has “the kid” mucking stalls, clearing and plowing a field, and assisting with a difficult calving. But when Sydney’s true identity is uncovered, Tim resents being deceived. 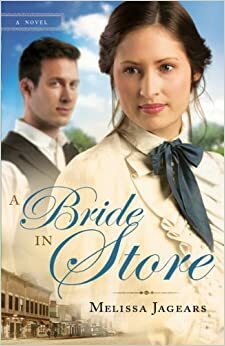 Yet in time, he also finds that he doesn’t like all the attention Sydney garners now that she’s wearing pretty gowns…Together Sydney and Tim will discover the importance of family and what it means to be a man–and a woman–of God.